WASHINGTON, D.C. — Global DMC Partners has teamed up with software company Balti Virtual, which designs augmented and virtual reality experiences. “AR and VR can help planners take their events to the next level and increase attendee engagement,” said Global DMC Partners president Catherine Chaulet. To that end, the technology can create attendee experiences such as augmented reality invitations, augmented 3-D agendas, virtual augmented gifts and customized scavenger hunts. Planners can step right into venue spaces or showcase new products, no matter where they are located in the world. To meet G.G. and experience her repertoire of cultural dances from around the world, download the free AppAR8 app from the iTunes store or the Google Play Store, open the app and then scan the Global DMC Partners logo. 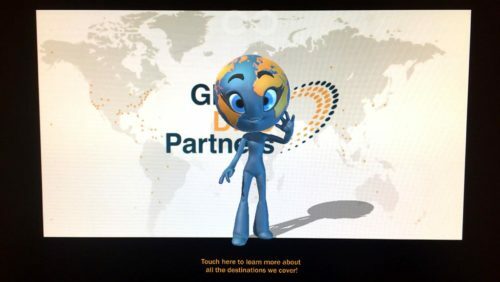 Global DMC Partners is the largest global network of independent destination management companies (DMCs) and sales advisors. The network has partnerships with more than 65 DMCs that represent over 500 destinations around the globe. Balti Virtual is a software studio located in Baltimore, MD, which focuses on creating augmented and virtual reality technology for a variety of devices.